Synopsis: February, 1991. Tommy, a Desert Storm marine dismayed that the US isn't taking out Saddam, breaks some rules and faces hard labour. 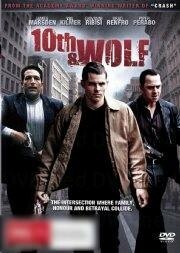 An FBI agent offers him an out: go home to his gritty, dockside home in Pennsylvania and help get the goods on an Italian heroin dealer, in return, no prison time and no arrest of Tommy's brother Vincent and cousin Joey. Loyalty to family conflicts with loyalty to the code of the street. Can Tommy sort it out, protect his brother and cousin, and stay true? Do young men die - in the sands of the Middle East and on the mean streets of the US - for no reason?